These are vintage buttons that are made of a type of plastic. 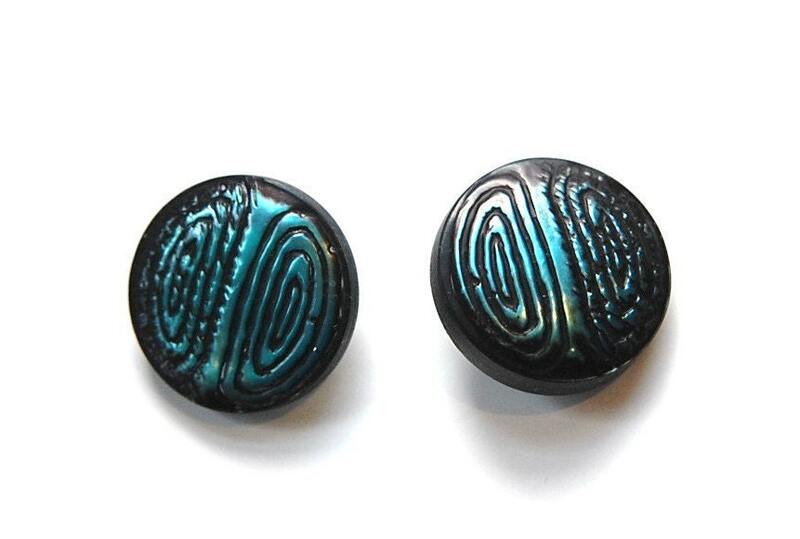 These are black with an etched design on top that is detailed in a metallic teal blue. They are domed on the front and have a plastic shank. These measure 23mm. You will receive 2 buttons. 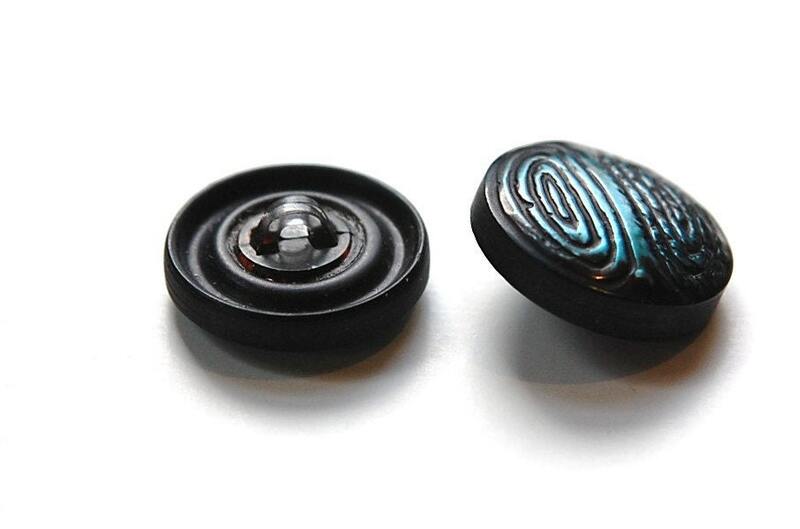 These teal buttons were stunning. I bought quite a few items from this seller and each one was carefully wrapped so no damage would happen during shipping. Items arrived very quickly and safely. I would strongly recommend this seller and will use again!